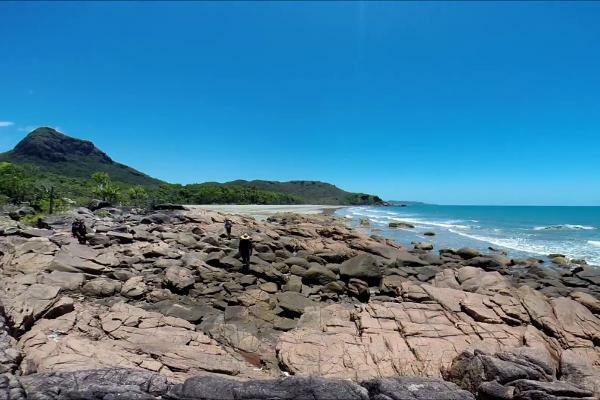 So many stunning aspects on Hinchinbrook Island – remember your camera! Considering walking the World famous Thorsborne Trail? Famous not because of a destination flooded with travelers but for quite the opposite. 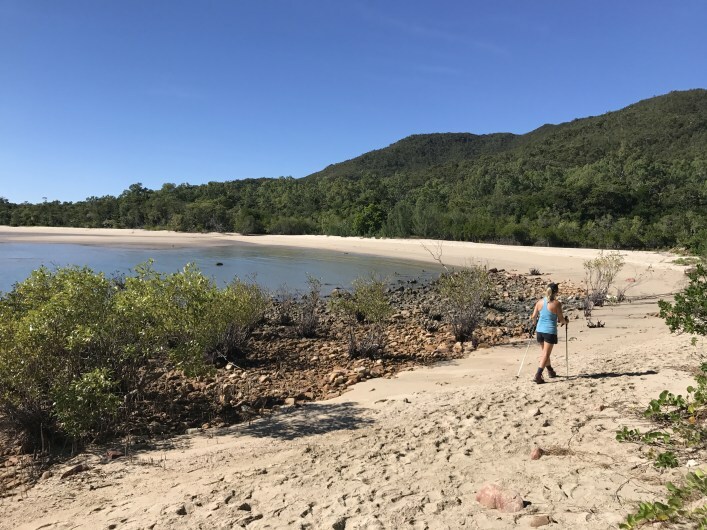 The regulated number of trail walkers gives you the chance to connect with and appreciate the raw beauty of a tropical island regarded by many as one of Australia’s premier walks! 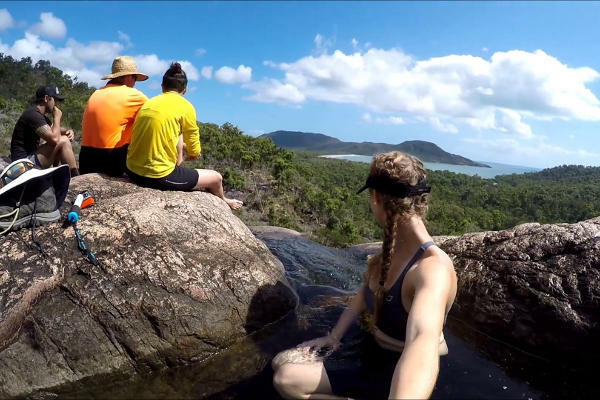 The iconic Thorsborne Trail on Hinchinbrook Island traverses an incredible diversity of terrains and ecosystems; from rugged tropical ranges, waterfalls, rainforest, rocky shorelines, open woodlands and stunning beaches.There is no infrastructure except food boxes and toilets for your convenience at the campsites. It is Nature at its best! 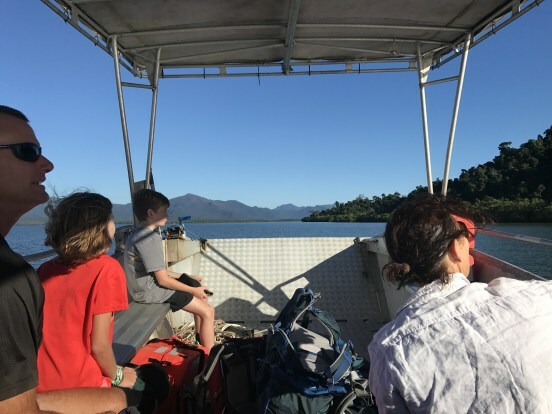 We are a ferry business that operates to both the Northern and Southern access points of the Thorsborne Trail from Cardwell and Lucinda. 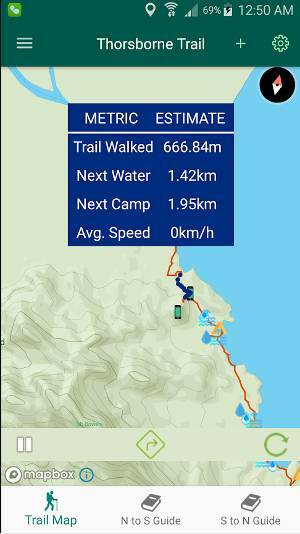 We transfer you to or from either the Northern (Ramsay Bay) or Southern End (George Point) of the Thorsborne Trail. We will pick up and deliver from/to Lucinda. You may prefer to use us for your northern transfer at the start because you can leave your vehicle in Lucinda. 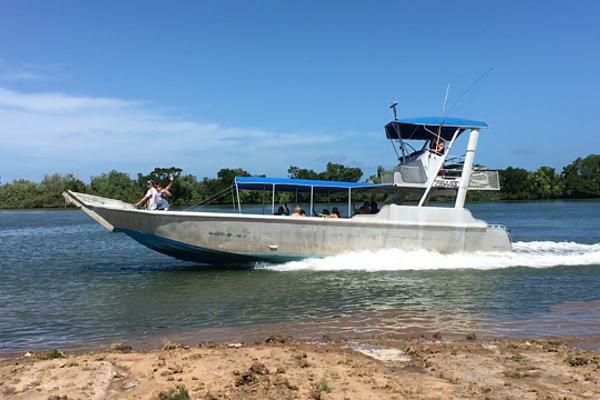 (We are the first ferry service to implement the more scenic, convenient and cost-effective transfer from Lucinda for Thorsborne Trail walkers). Please note: We do transfer from Cardwell and return to Cardwell also. 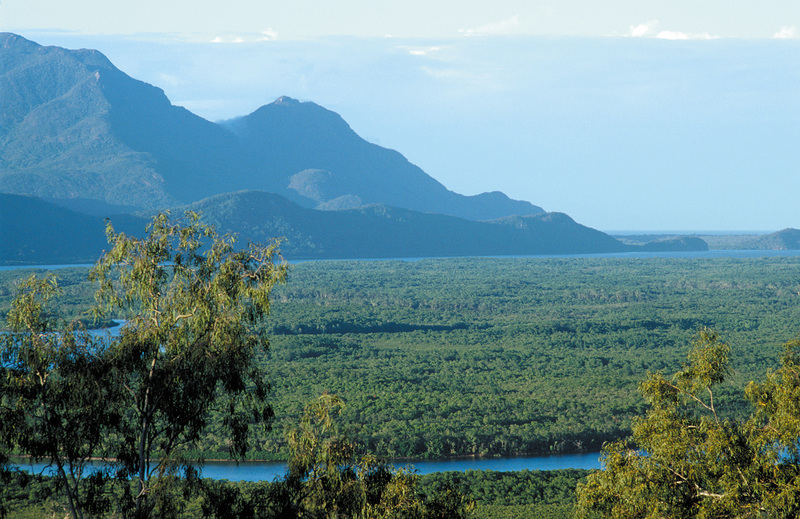 Start and finish at peaceful, scenic Lucinda with secure parking and choice of accommodation. 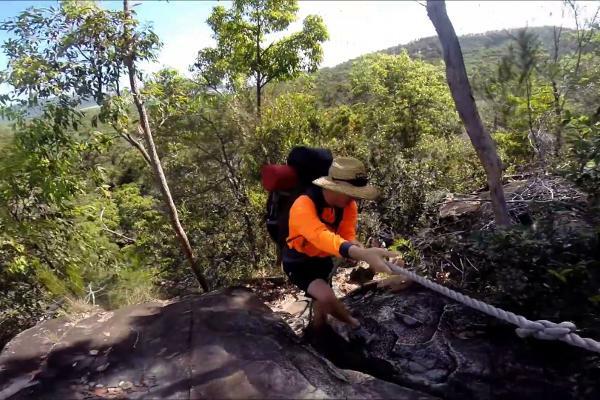 HIKING the Thorsborne Trail is considered one of Australia’s best. Stunning beauty, Terrain varies from pristine beach to rocky mountain, deep forest, and tidal creeks. Completely natural. 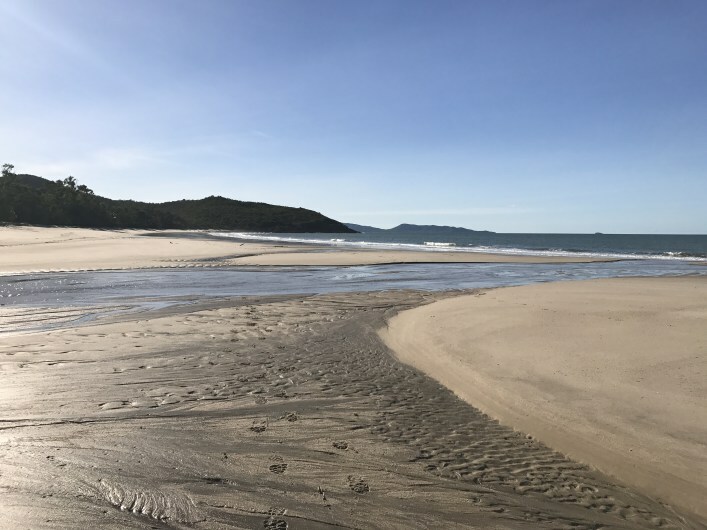 CAMPING The most beautiful of all Australia’s islands. 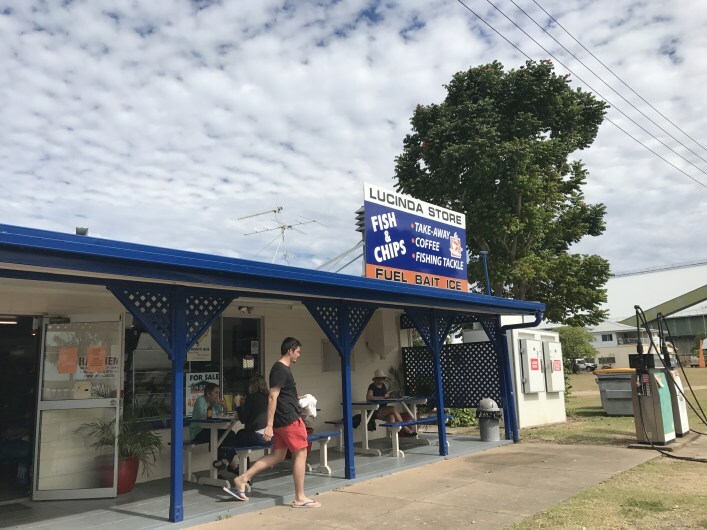 Our favourite place in the whole world, a place that has been part of our consciousness forever and a place you should not miss while in Australia. We are permitted to transfer day visitors to three separate locations. All transfers depart Cardwell or Lucinda and are weather dependent. Your safety is our priority. Check out the destinations available. This adventure was the highlight of our trip. John went above and beyond in his service and personal dedication to ensuring we had an amazing time. 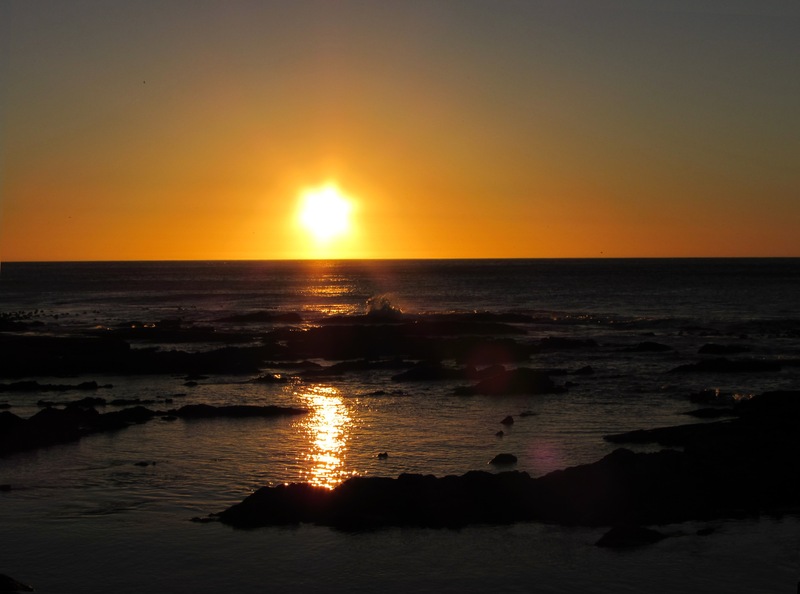 He is a wealth of knowledge about the area and also very passionate about wildlife. We just want to say a big thank to you and your staff. 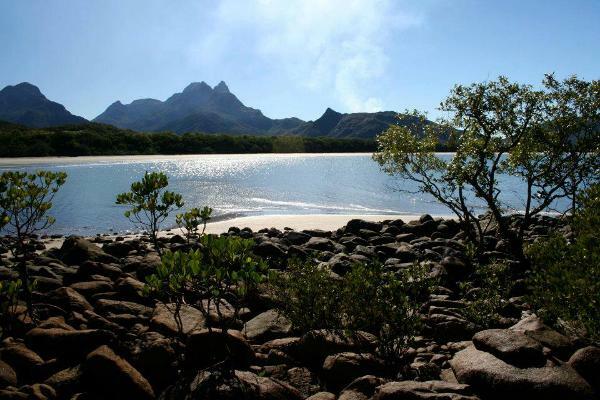 The information you provided before our trip to Hinchinbrook Island was ‘spot on’. 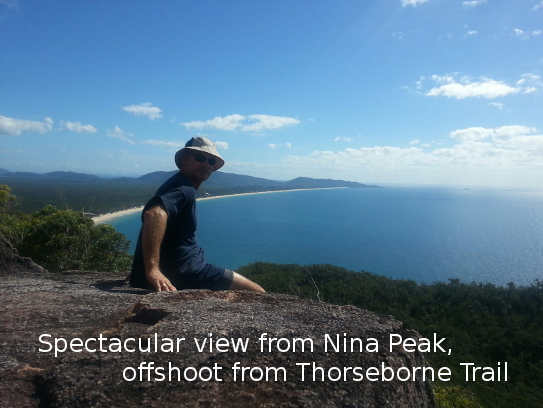 We thank you for your knowledge and insight into the Island and your dedication to your clients when walking the Thorsborne Trail. 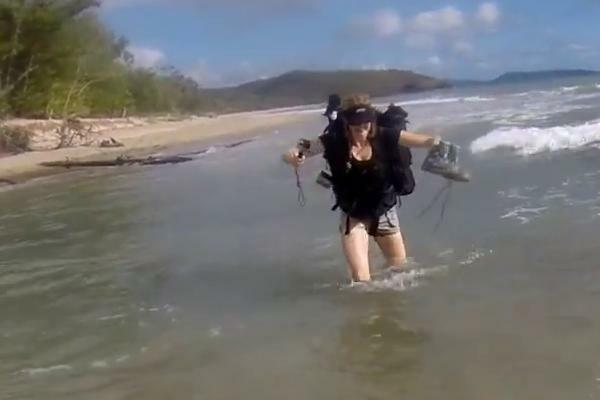 An adventure hike is by definition sure to turn up the unexpected. When you are completely relying on your own resources, preparation is key. And as every location is different, it’s LOCAL KNOWLEDGE that will help make you more comfortable, and ensure a happy hike. “Skipper John” is the man with the local knowledge. He’s lived here all his life, knows the island like the back of his hand, and freely imparts his vast store of useful insights to his clients. 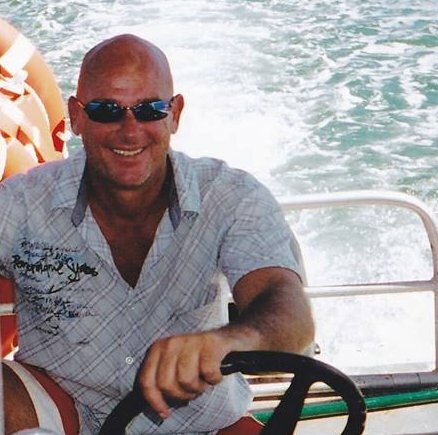 Go with Skipper John … a man who takes seriously his “duty of care” while you are on the island… really the only safe choice. 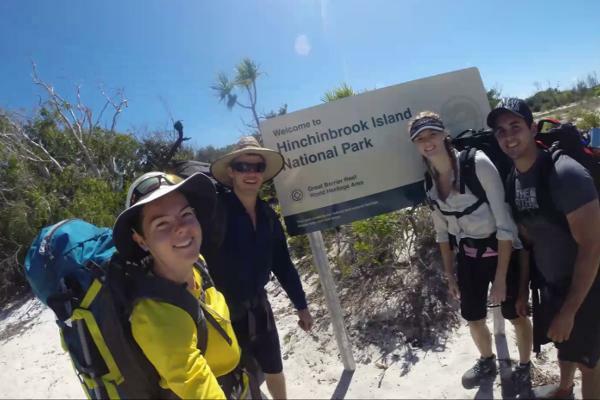 We have just completed our 6th hike of the 32km Thorsborne Trail on Hinchinbrook Island. 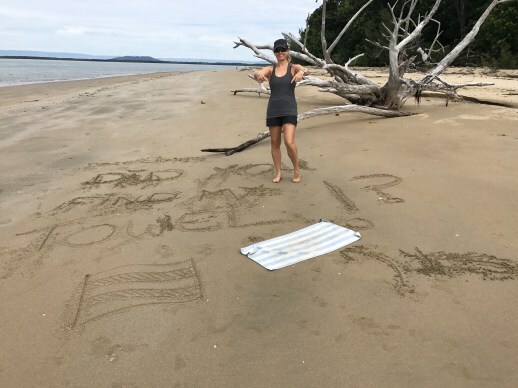 This is something we have done each year since 2010 and will continue to do as we all live only about 2.5 hours drive from Cardwell. This year John, the owner of ‘Absolute North Charters’, asked if we could write a guide to help other hikers better prepare themselves for what lay ahead of them walking the trail. 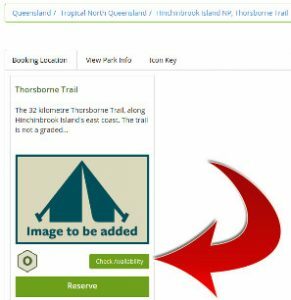 Most information on the web is from hikers who have walked the Thorsborne Trail once only, our information is from 6 consecutive years of hiking the island. 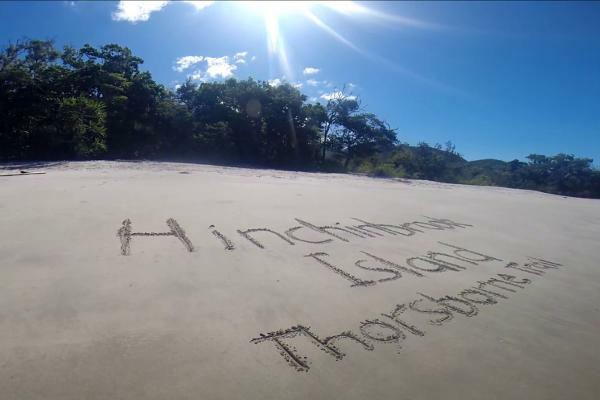 We have been getting a lot of enquiries from HIKERS/BUSHWALKERS about actually getting to HINCHINBROOK ISLAND to HIKE the THORSBORNE TRAIL from major cities around the country. 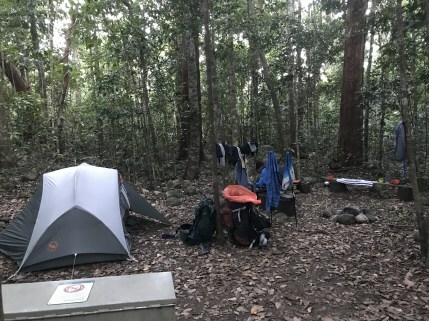 With that in mind, we think it would be beneficial to all potential HIKERS to try to fill in the gaps concerning airports, shuttle bus services and FERRY SERVICES that exist to help. More than a dozen small bites of essential Thorsborne Trail information that can make the difference between a smooth enjoyable hike and an uncomfortable one.